BURNABY, BC – Dageraad Brewing has announced the release of a new beer brewed in collaboration with Brasserie Dunham – sort of. We brewed a beer with tons of Citra, Azacca and Idaho 7 hops, and we topped it up with some of Dageraad’s favourite Hallertau Tradition hops, to add a herbal undertone. We fermented it with one of Dageraad’s house strains of Belgian yeast, as well as brettanomyces bruxellensis and brettanomyces claussenii. However, something went wrong with the fermentation, and the original batch had to be thrown out. So Dageraad – “with Eloi’s permission” – brewed it a second time, with much better results. 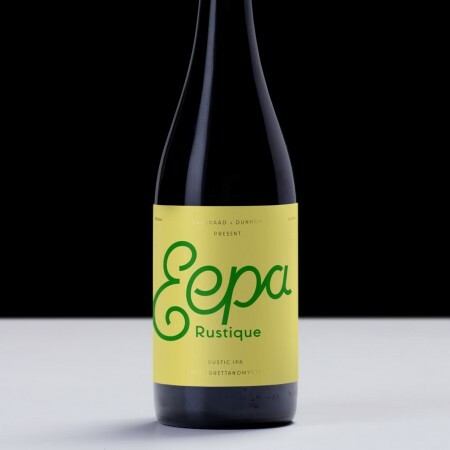 Described as having “a nose of lovely tropical fruit over a base of herbal hop notes and a subdued brett funk,” Eepa Rustique will be released tomorrow (November 21st) at Dageraad in a limited run of 500 ml bottles.